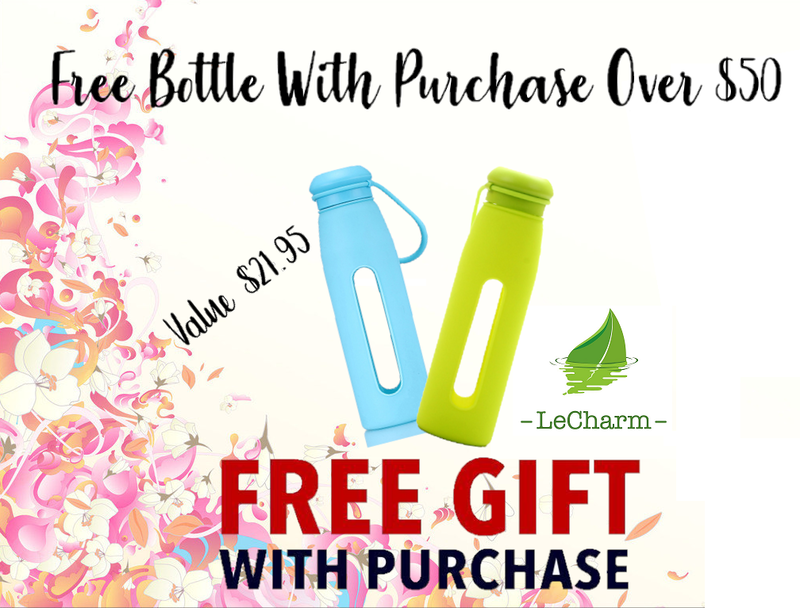 Add the Bottle in Shopping Cart & Apply FreeBottle Coupon Code to Claim Your Free Bottle When you spend over $50. 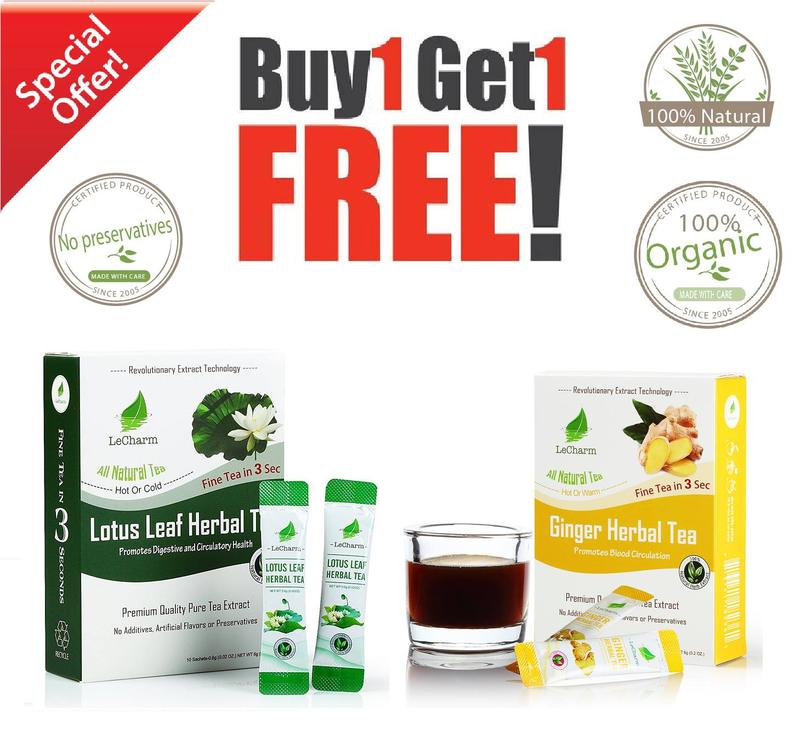 BUY ONE GET ONE FREE ( mix and match) The Lotus Leaf Herbal Tea is free from caffeine, making it the most relaxing drink. 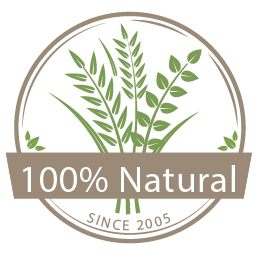 Great care was placed in combining substances that mend without exciting your cells. Ginger has been used as a natural remedy for many ailments for centuries. It is found helpful in boosting the immune system, increasing circulation and providing warmth, promoting healthy sweating, assisting detoxification, reducing nausea and vomiting, treating cold and flu symptoms, easing headache, and aiding cough and sore throat. 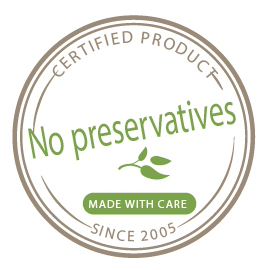 Nano-extraction technology keeps tea purified and 100% natural. Calories-free. 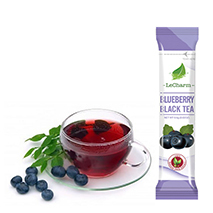 LeCharm is a global leading manufacturer and supplier of all kinds of tea and herb extract products. 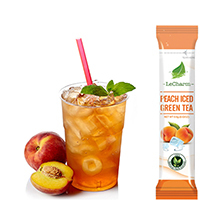 The company independently developed the key technologies of nano-level extraction from tea leaf cell and integrated solutions of production system. 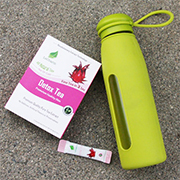 √Tea is atural source of antioxidants and amino acids. √Easily absorbed by your body. 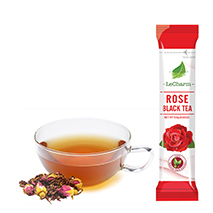 Click here to shop all instant tea products. 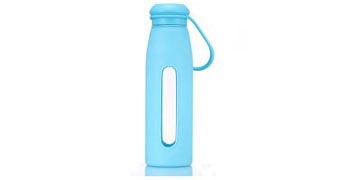 Dissolves instantly in hot or cold water. 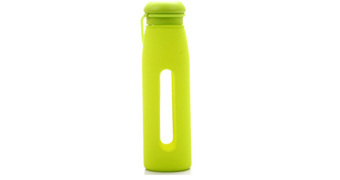 Clean and simple, no messy bags or tea leaves. 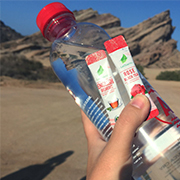 √Each individual sachet fits inside your pocket perfectly. √office, gym, resturants, travel and wherever you want. Green tea is the healthiest beverage on the planet. 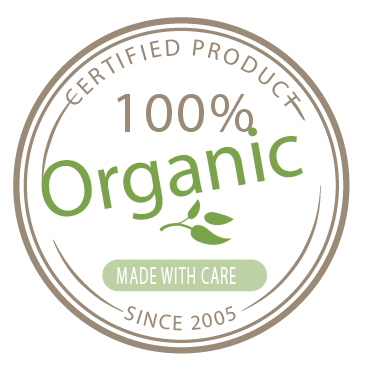 It is loaded with antioxidants and nutrients that have powerful effects on the body.This includes improved brain function, fat loss, a lower risk of cancer and many other incredible benefits. 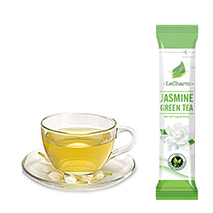 There are 10 health benefits of green tea that have been confirmed in human research studies.